I love this dish, for realzies. 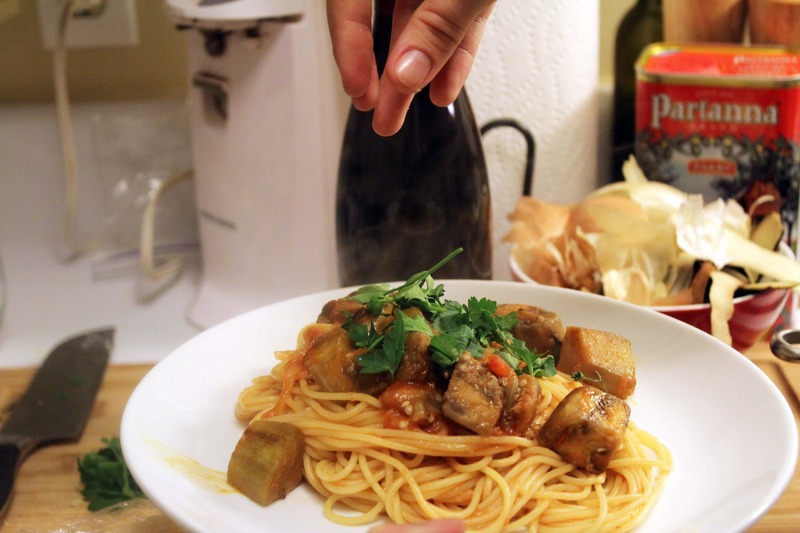 It’s easy and cheap to make, and great for a quick Italian meal any day. 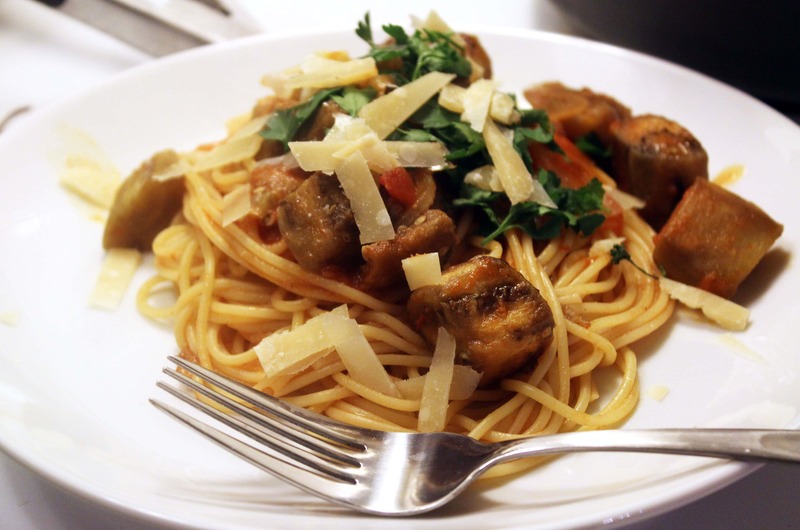 The eggplant is hearty and flavorful, so you don’t miss meat if you’re a regular meat-eater. 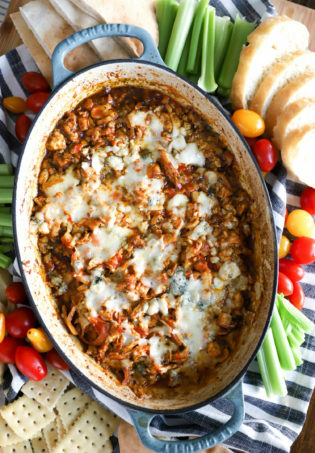 Perfect for groups of meat lovers and meat avoiders! I may or may not have already been drinking the wine at this point. Whatever. 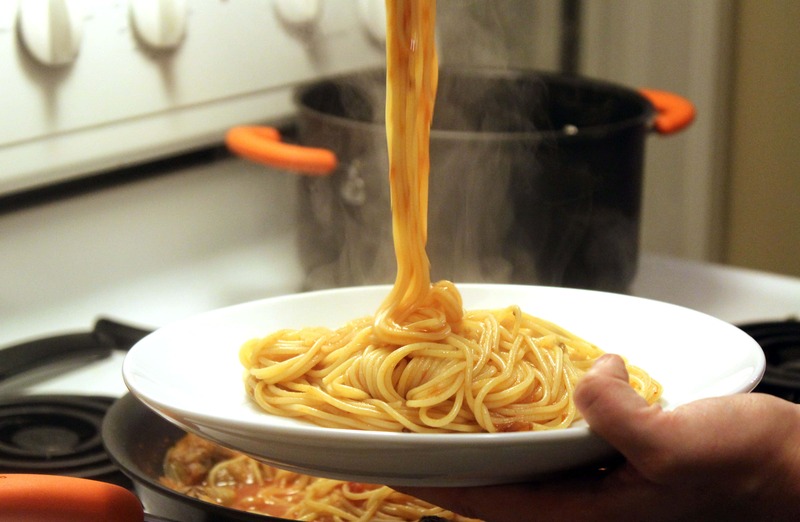 While you make the sauce, boil water for your pasta and cook it! Don’t forget to save some of the water right before you drain it. 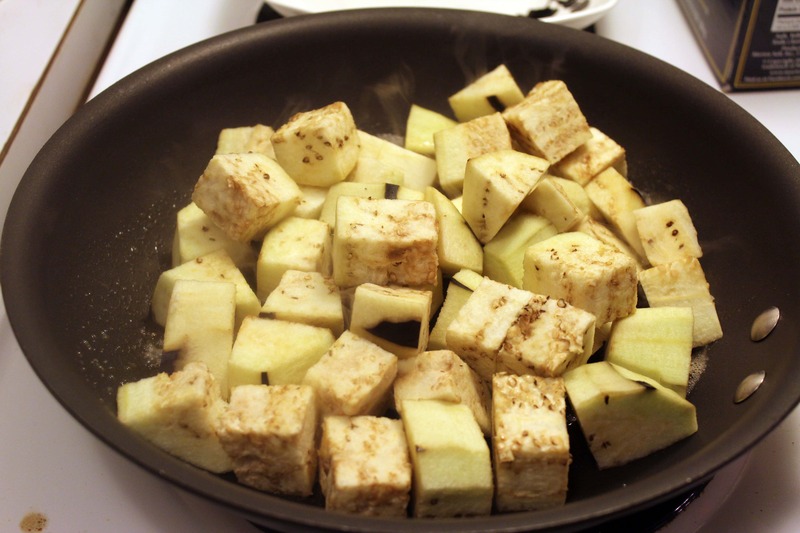 Heat a pan to medium-high heat and peel and chop the eggplant into large cubes. Nice. 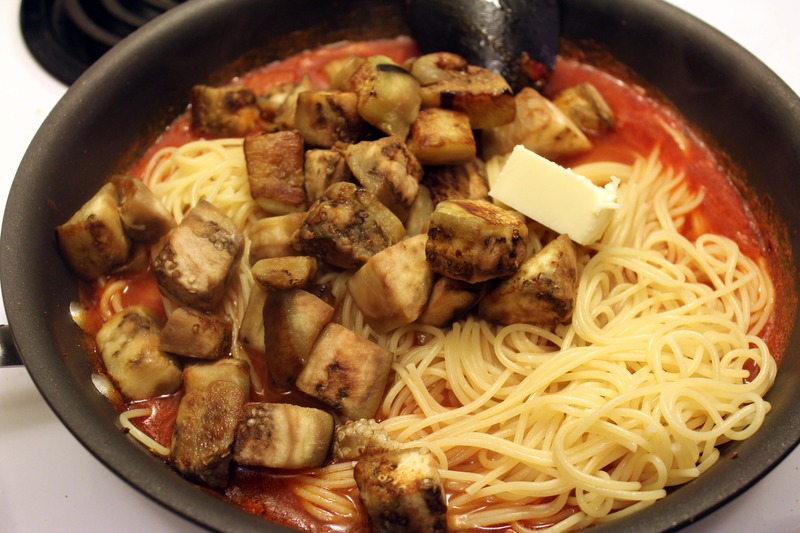 Melt a tablespoon of butter into the hot pan and add the eggplant. 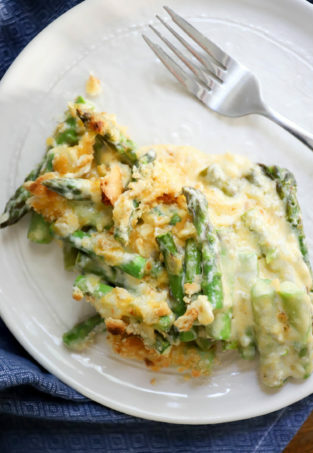 Make it in one layer as much as possible – if the outsides brown it will be super duper delish! 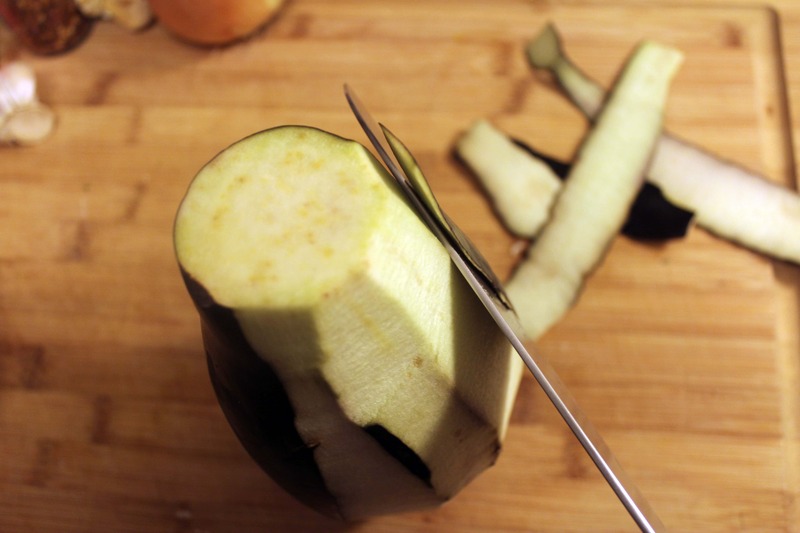 Let the eggplant brown for 5 to 10 minutes minutes, stirring every once in awhile. 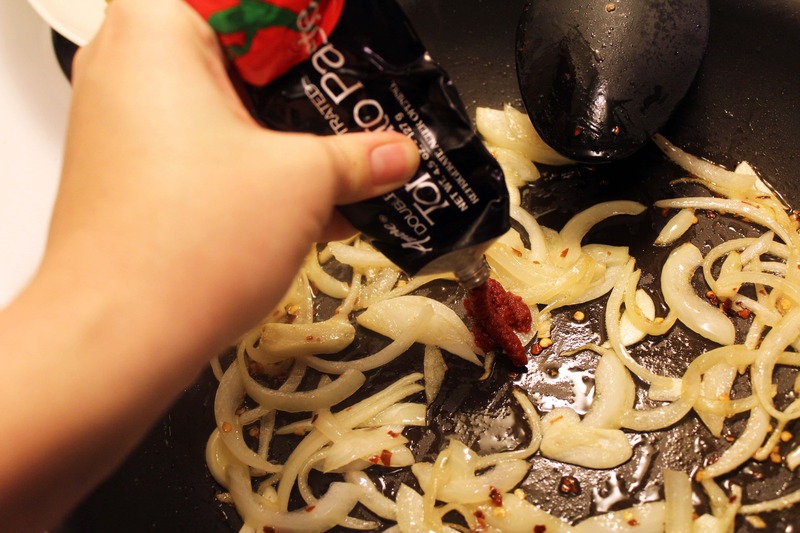 We don’t want it to turn to mush, just start cooking and get crispy on the outside. 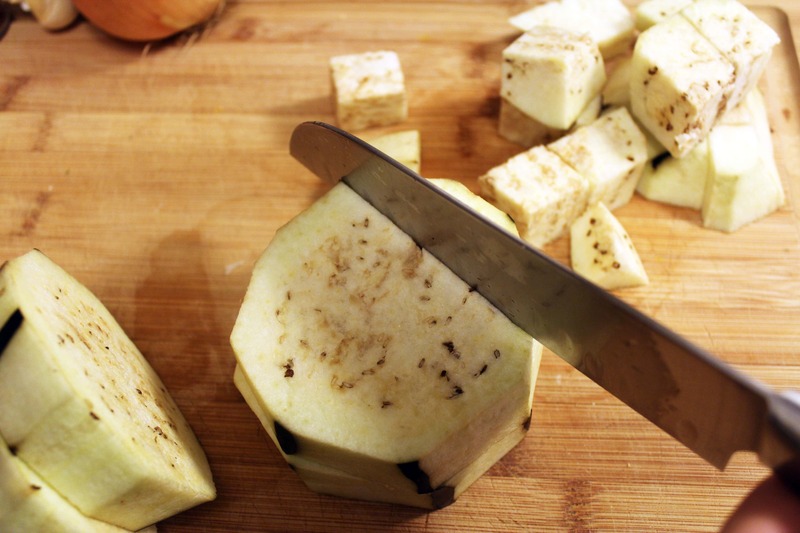 While the eggplant browns is a great time to peel and thinly slice the garlic and onion! 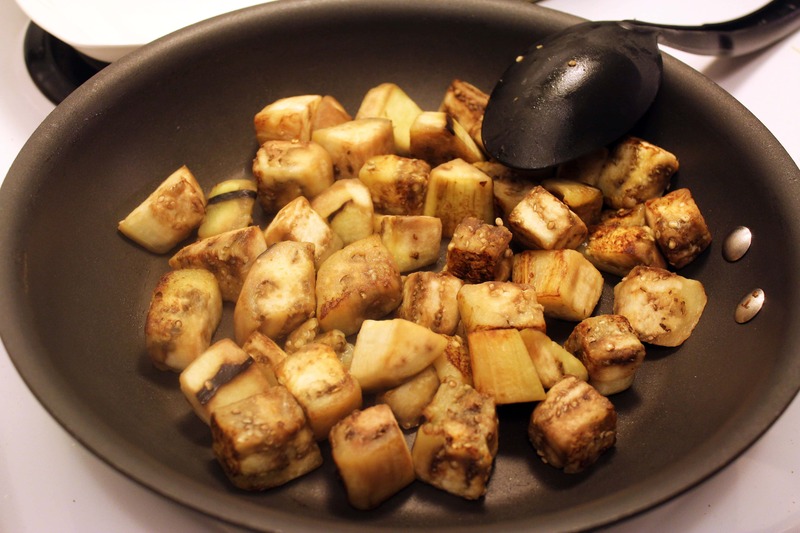 When the eggplant is as crisp as you’d like it to be, remove it from the pan. 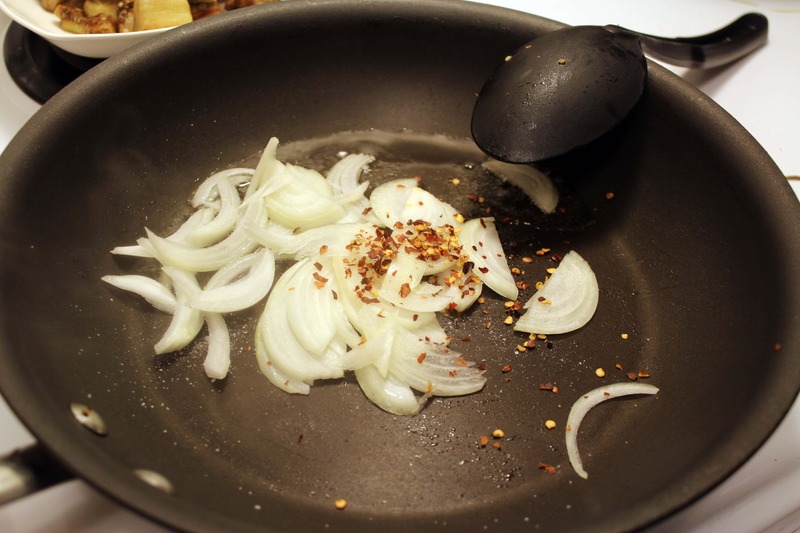 Turn the heat down to medium and add the onions, garlic, crushed red pepper, and a nice sprinkle of salt. 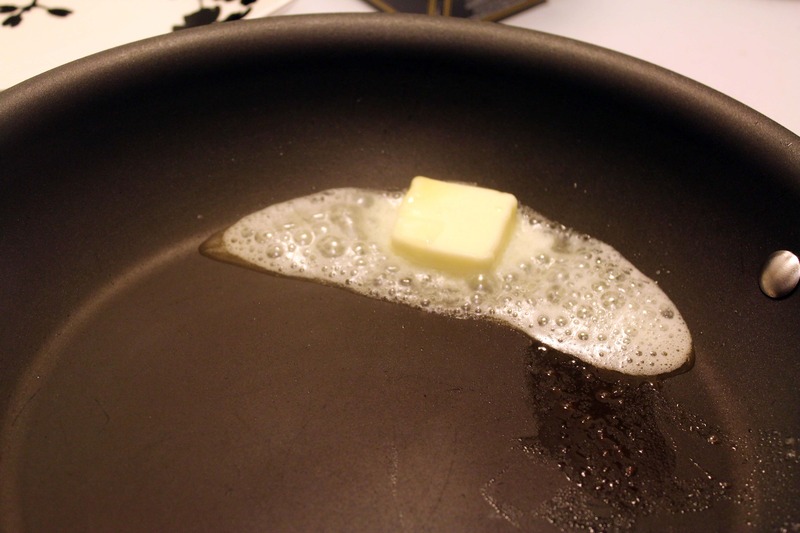 Add another pat of butter or some olive oil if the pan is dry. 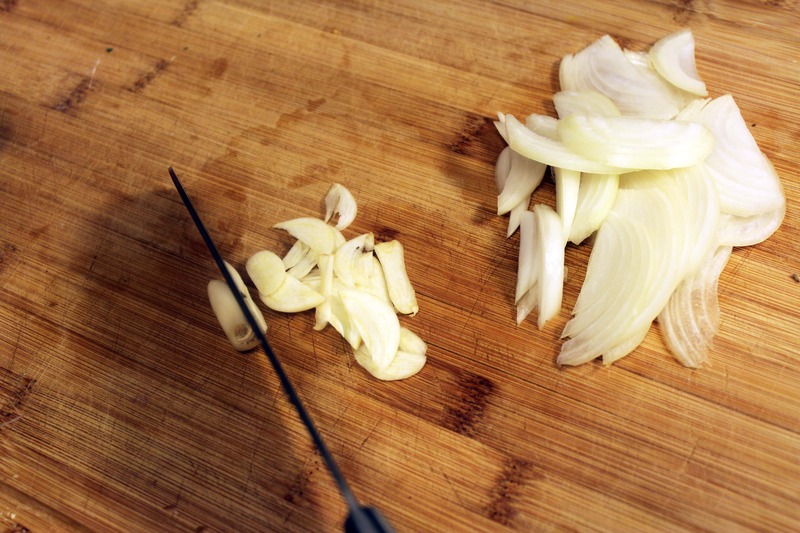 Stir the onions and garlic around for 3 minutes or so until they begin to soften, then stir in the tomato paste. The tomato paste will just need to warm through. 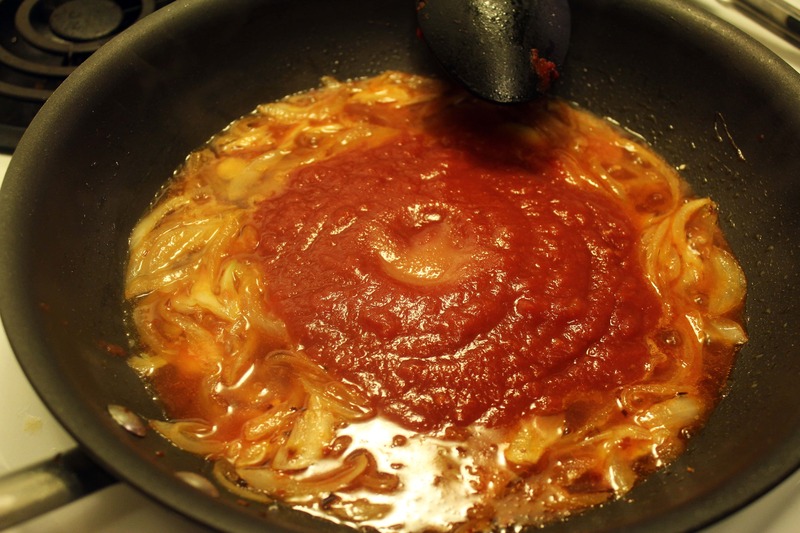 Once you’ve stirred it into the onion mixture, dump in the white wine and stir so the tomato paste dissolves and you end up with a really nice white wine tomato smell that makes you happy in your heart. Ahhhhhhhh. 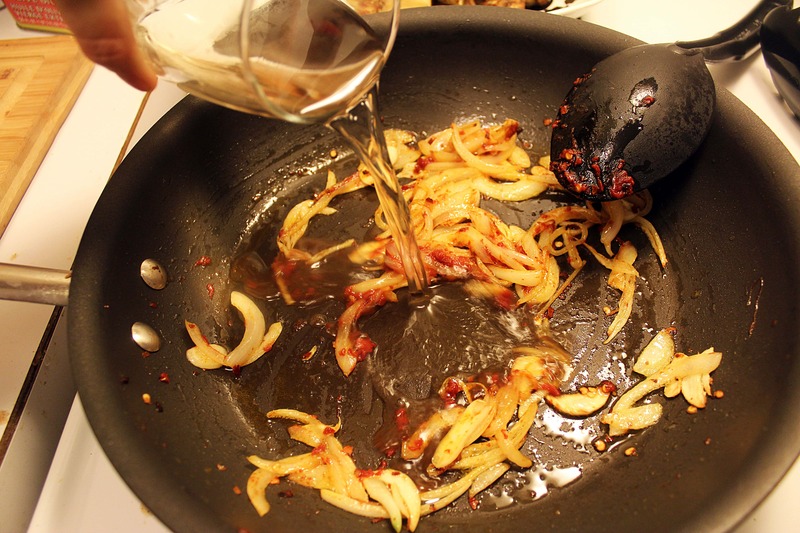 Let the wine bubble and reduce for 2 or 3 minutes, then add the crushed tomatoes and a sprinkle of sugar. YUM. That’s lovely. Now, stir this all together and taste it and determine if you’d like to add any more salt or pepper. 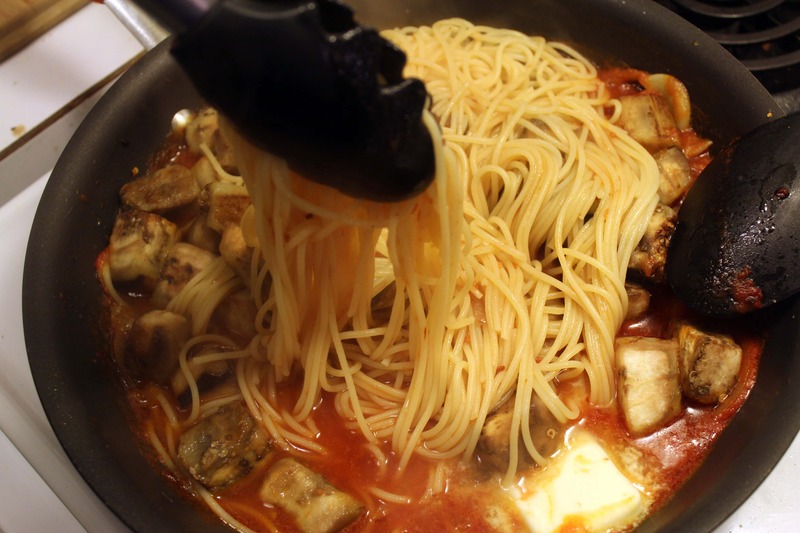 Let it bubble for a minute or two, then add back in the eggplant, the pasta, the pasta water, and another pat of butter! 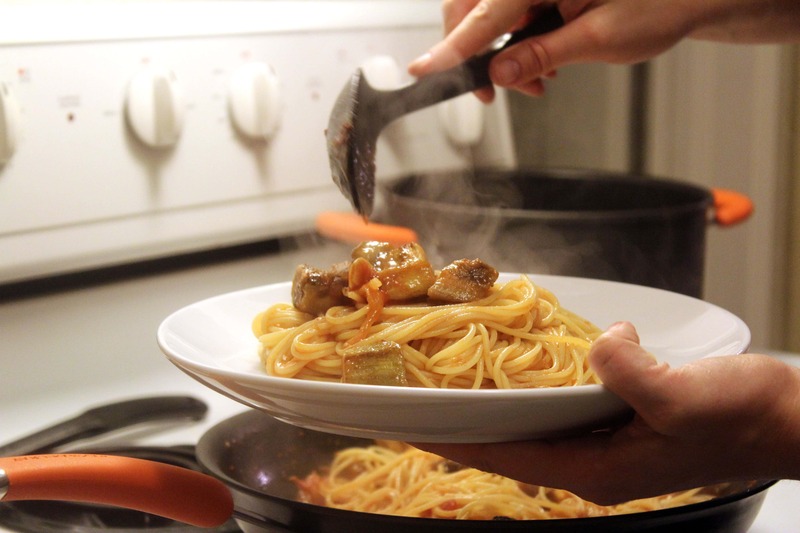 Use tongs to toss this glory all together, and taste once more to be sure it tastes perfect. 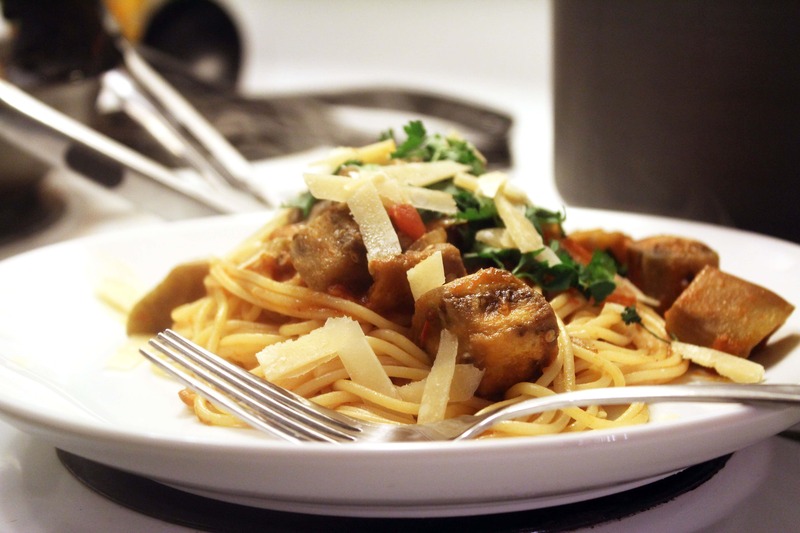 To serve, I put a big pile of noodles on a plate…. 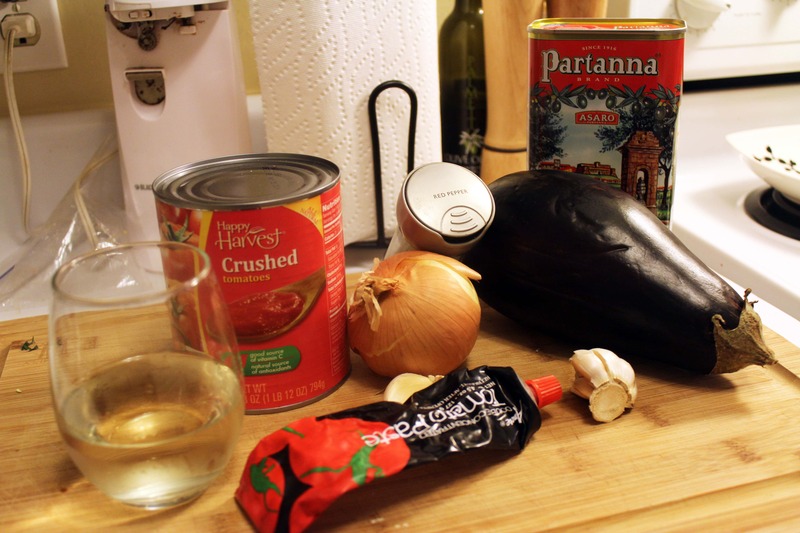 …then spoon extra eggplant all over the top! YES. 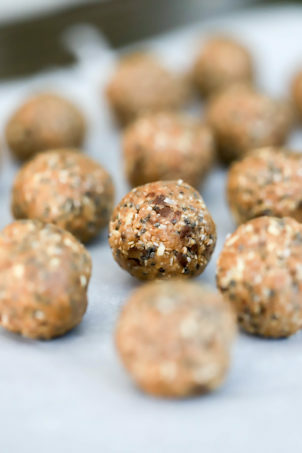 Top this with herbs, cheese, extra olive oil or red pepper….whatever you like! I personally use all of the aforementioned toppings because I’m cheating on toppings with all the other toppings. Enjoy this! 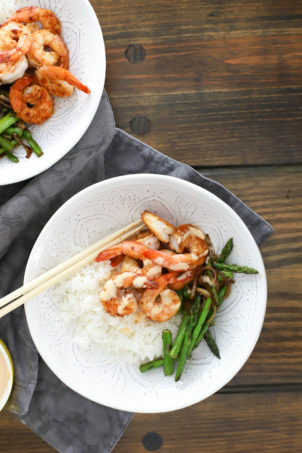 It’s quick, easy, and moderately healthy, if you don’t douse it in olive oil and cheese and consume it with half a box of wine. Which, of course, I do. Previous Post: « The Dinner.